I take time to listen to my patients, answer questions, and educate them about their diagnosis and treatment options. I invite patients into the decision making process and provide a treatment plan tailored to individual needs. I respect the needs of my patients and their families and I put them in the center of care. I want my patients to feel comfortable and as free of anxiety as possible. Personal interests of mine include playing badminton, hiking in the mountains and biking. 847.570.2570 847.933.3520 fax Get Directions This location is wheelchair accessible. I went in to see the doctor for lightheadedness that I had been having for weeks. Every time I tried to explain a symptom or concern he would cut me off and move on to his next question. He only did a few tests (other doctors had done a lot more thorough exams) and determined that my problem was that I have anxiety. He treated me like I was a young idiot who had no idea what I was talking about. He ordered MRIs to make sure nothing serious was going on and they came back mostly normal. He then failed to call me for days after the results were ready and then only briefly responded on NorthShore Connect messaging using not even full sentences. Someone else called me and asked if I would like him to call about the results after seeing our messages. He then called and said the same thing and that I would have to go to another doctor to explain them further. He did not bother to ask how I was doing and spoke to me like he could not wait to get off of the phone. I went to several doctors after him and the diagnosis is not anxiety. The person who has helped me the most is my vestibular physical therapist. After going to her I improved greatly. It is never okay to jump straight to mental illness being the only problem even when the patient has a history of anxiety and depression. I was treated like I did not know my own symptoms. I only wish we had met him years ago. I saw Dr. Wang for concussive symptoms that I have been suffering after a bicycle accident.A referral to a Neurologist at North Shore was made by my primary care physician and flagged as "Urgent" because of my symptoms. I left my consultation with Dr Wang feeling like I had less information about my condition, treatment, prognosis. He literally sat in front of his PC monitor and read questions from the screen, waited for an answer and clicked/typed in my responses. Dr. Wang showed very little personal interest in trying to understand my condition. He had few to none of his own personal questions about how I was feeling. He performed no physical examination whatsoever. He merely asked questions from his computer, typed in my responses and proceeded to write 3 prescriptions.Furthermore, at the conclusion of the consultation, he told me it was important to make a follow up appointment in 2 weeks.When I tried to schedule the 2 week follow up, I learned that he was booked for over 4 weeks out. I asked his nurse to ask Dr. WANG if he could fit me in sooner becaus he said it was important. After a few minutes, the nurse came back and said Dr. Wang said a 4 week follow up would be OK!I still am having symptoms of concussion and feel like seeing Dr. WANG was a complete waste of precious time to treat my condition. Furthermore, I feel that Dr. WANG'S complete lack interest and lack of inquisitiveness about my condito may have resulted in an incorrect treatment plan. It may be worth noting that my appointment was scheduled for 75 minutes. Dr Wang completed his "examination" in 45 minutes. Frankly, I could have answered an online symptoms flow chart. 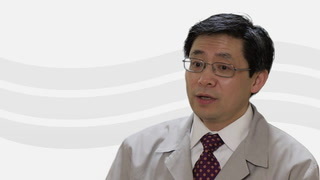 I always recommend others to *Dr. Wang he talks and spend time with myself and family. Excellent at all levels!! And managed to keep my migraines under control. *Dr. Wang and staff are fabulous! Very good experience, would recommend to friend. Shows personal interest in my medical problem. Initial visit with Dr Wang since last dr retired; appreciated that he listened completely and we discussed options to figure out next treatment options. Felt at ease and comfortable. Have great confidence in *Dr. Wang. I feel he is very present throughout the visit.